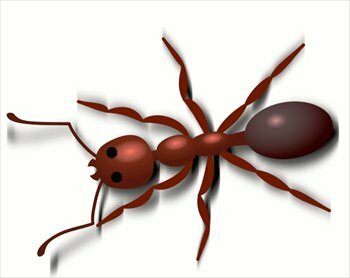 Ants are among the most common and prevalent household pests. Not limited to houses and gardens, ants also invade any place that provides them with food and water. While they do have a few beneficial contributions to our ecosystem, they conversely nurture insects such as aphids, soft scales, whiteflies, and mealybugs, increasing the damage from these pests to both outdoor and sometimes indoor plants. Our goal at Homestead Pest Management (HPM)is to help you eliminate these pesky little bugs and keep them from returning to ruin more than just a picnic. "To manage an ant infestation in the home, you must first identify the species. The next step is to learn about the biology of that species and determining where the colony might be nesting." Our professionals at HPM will come out and do an assessment of the property that needs treating, and decide exactly what type pf problem you have before discussing possible plans of attack. Don't put up with the ANT-ics of these tiny pests - let the HPM team take care of all your pest-control needs. Contact us today to begin your customized plan of care for your home, yard, business, or other property.